My work is concerned with light. 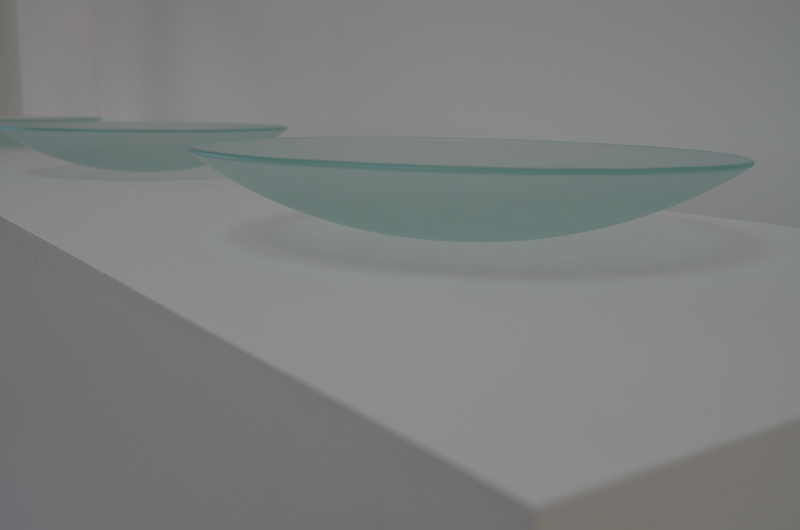 I use installation, photography and glass to capture light’s essence, its physicality and transience. I often use poetic texts that connect to the simple experience of natural lighting conditions, such as clouds passing over the sun during the day, or moonlight shining through a window in the quiet of night, moments that are easily overlooked. The Sun Bowls contain extracts from Zen poems that refer to a transience of existence echoed in the use of glass and light to illuminate the words. The shifting lighting conditions within a room changes the visibility of the words – sometimes readable from above, others from the projection onto the surface below, and occasionally not at all. The bowls are intended to be lived with and viewed over a period of time, becoming part of the owner’s personal context and place. This work recently displayed in the Holden Gallery is a perfect choice for this exhibition.